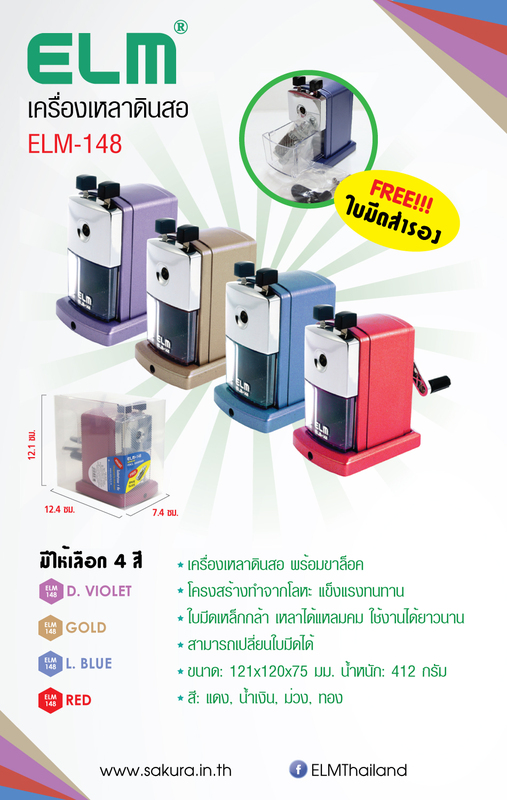 This ELM 148 pencil sharpener in compact size and steel body that is very sturdy and durable. Available in 4 cheerful colors and 4 styles. Size : 75 x 120 x 121 mm.